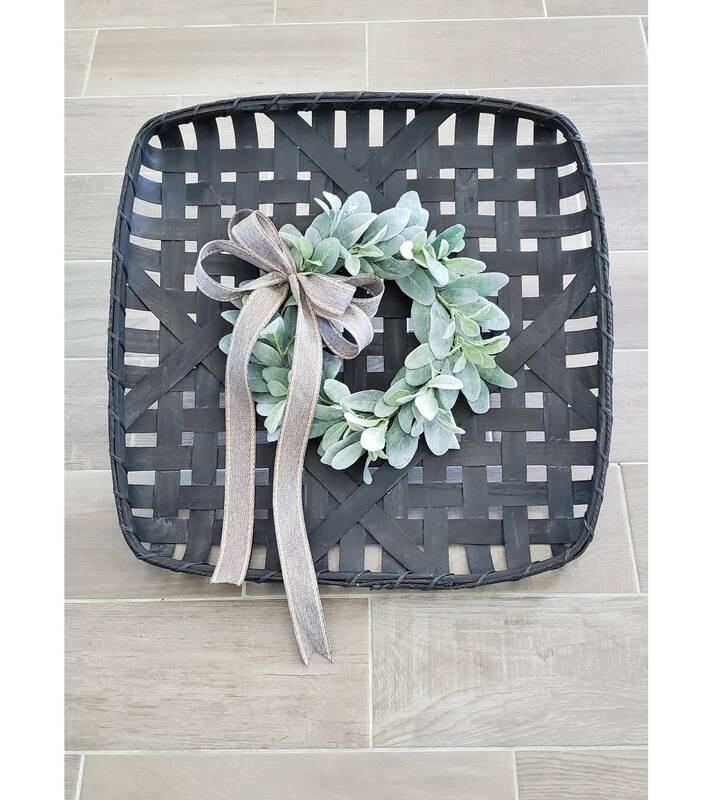 Black Wash Painted Tobacco Basket with Lambs Ear Wreath. A Farmhouse inspired arrangement featuring our realistic looking Lambs Ear Wreath framed in a tobacco basket. 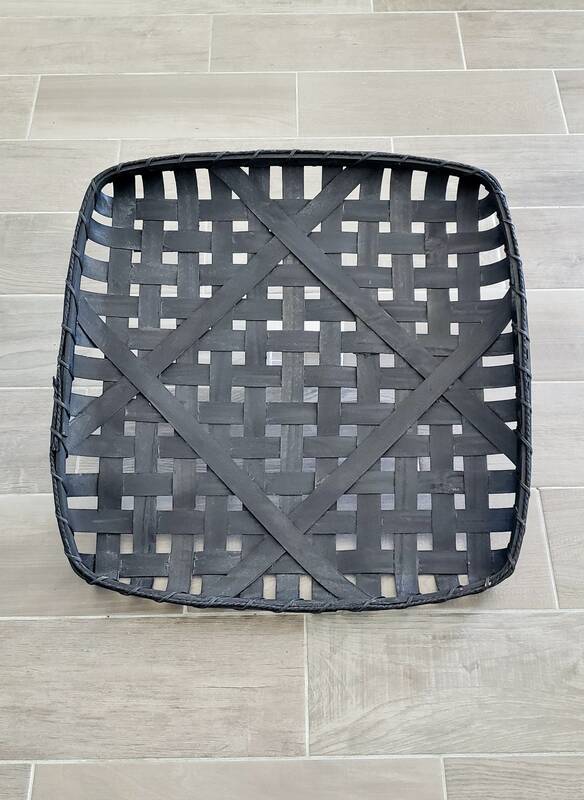 • Tobacco Basket: 23"x23"x2 1/"4"
• Tobacco Basket: 27"x27"x3 1/2"
• You get all three sizes in a set, each one completely decorated with a wreath. • Wreath is hand-crafted with natural grapevine wreath, artificial flowers & greenery. • Not a hand-made product.